The Post-Stalin years in the Soviet Union are often viewed as an era of “stagnation”, but nothing could be further from the truth. The USSR was on the rise economically, and by the early 1970’s this growth began to come to a point. On a cultural scale, the impacts began to become very evident. For the first time, wages were up as were pensions. Job opportunities were abundant and the population was on the rise. With the increase in monetary earnings, demand for goods of a more “luxurious” nature spiked drastically. This resulted in situations much like the one pictured above. Rumors would fly around cities and friends would talk to friends about a certain store having a “rare” commodity in. The results were mass lines waiting for something as simple as a new pair of shoes. The questions then arise, where did this demand come from and what implications did it have on the USSR as a whole? If demands for clothing, shoes and other goods are not satisfied, the reason is certainly not that not enough are produced. The reason lies elsewhere: Customers are becoming more demanding about the quality of goods, they want fabrics of good color and clothing and shoes that are attractive, comfortable and economical. Production must quickly adjust to changes in demand and in fashions. But that it is precisely what many enterprises fail to do. They are too slow in changing their ways when the market and people’s demands change. This provides a perfect lens for which to view the dilemma the consumer-producer relationship was facing within the USSR at the time. The people were on the rise and the producers desperately needed to keep up. This image, when translated, states “The Whole Family on Vacation”. This provides a contextualization for the changing class structure of the USSR during the 1960s and 1970s. We see an emergence of an “ideal” living condition or state that was the goal of many within the USSR at the time. In the image we see the dacha in the distance and the “normal” looking family happy at their disposition. This shows ideal separated those who could afford and those who could not and aided in beginning a Soviet middle class. This change in the demand of society would come to effect the USSR on a deeper social and cultural level as well. 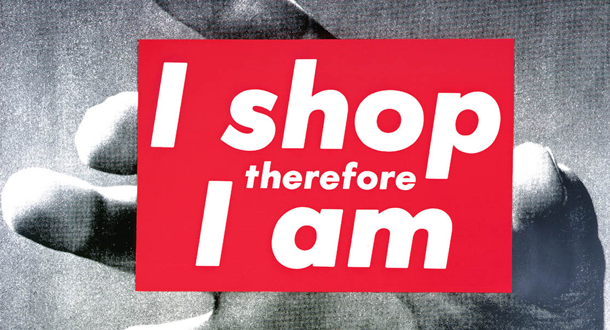 The party had long tried to present the idea of consumerism as one tied to capitalism and therefore a representative of the Bourgeois culture they aimed to avoid at all cost. Despite their efforts however, a middle class began to form and create a separate identity for itself. In Maya Turovskaya’s article, The Soviet Middle Class, she describes makes a point that begins to show the inception of a distinctly middle class in the USSR. She states that the Soviet middle class’s “survival kit”, or stereotypical items they strove to obtain consisted of a dacha (summer house), an apartment and a car. While these things may seem basic to a westerner at the time the idea that someone had the means to own these and found a separate social standing in doing so represented the shift in social status and norms. 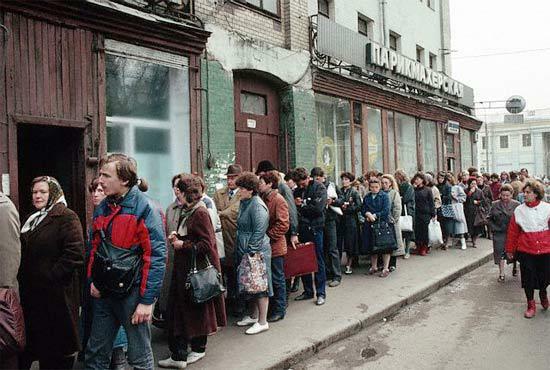 While there is evidence to suggest the emergence of a Soviet middle class, this middle class looked very different from what many westerners then and now consider to be a middle class. 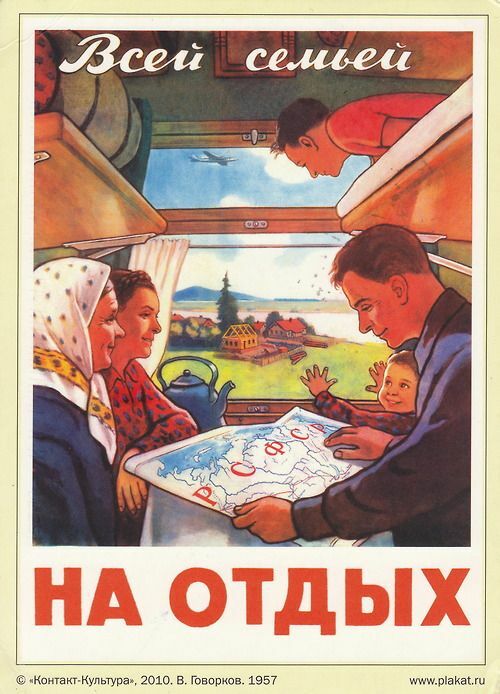 It is important to define what this middle class was in terms of its relationship to the USSR. In the Soviet Union, according to the traditional Marxist values the Party supported, they hoped to create a classless society in which all were essentially equal. However, as evidenced in Turovskaya’s article as well as the parameters for the Ninth Five Year Plan, the economy of the USSR was shifting as a result to increased demand. This demand came from a bolstered economy that offered more job opportunities and higher average salaries. All of this resulted in a distinct societal shift. A more distinct dichotomy was created between the “haves” and “have nots”. We see the emergence of a standard for a “happy” family that not everyone was able to obtain. This set the tone for the creation of a middle class in a society that aimed for none to exist. All demanded more “bread”, but only a few could access that reality. Check out the source material below! Awesome post. Its ironic how the communist USSR experienced such a high level of consumerism when its party was built on the destruction of the bourgeois. Why didn’t the companies providing goods just increase the price in order to maximize profits and decrease demand? I feel that would have been much more beneficial for both business and the communist state. Great post! It’s very interesting how the producers of goods were unable to keep up with the demands of the Soviet consumers. I feel that the “stagnation period” is a misnomer, as consumers were able to afford nicer goods, they just weren’t available for purchase. Thanks for sharing! I find that the creation of class and consumer demand as one of the biggest ironies in the USSR since it went against their ideals, and it probably helped lead to their downfall. I think the inability of the USSR not being able to meet consumer demand was in large part due to their lack of trading partners. You did a great job researching the economics of this period. It is a great example of how complicated economics can be in a communist system. The USSR’s leader’s had to juggle with the challenge of keeping communism intact and supplying the increasing demand of their people. I doubt something like this would exist under a ruler like Stalin, which really shows how much change happened in this period. While wages were rising, it still seems like the economy was stagnating. Even though people wanted to spend their money, the fact that the economy couldn’t produce enough to satisfy demands shows how stagnant it is. I don’t see how the economy could be on the rise if it can’t even supply enough to the consumers. The economics of the soviet middle class were certainly mysterious! Turovskaia’s piece does a good job, I think, of teasing out the intersection between culture, privilege and status that shaped this peculiar form of “consumerism” so powerful and idiosyncratic. You’ve found some terrific sources for this post, which highlights important aspects of the “little deal”. That was a really detailed and well thought out post. I liked the way you detailed the economy and introduced through a lens I hadn’t seen before. The Soviet middle class is really interesting to learn about especially since a majority of our learning is about those in power and the poor.